Germany bans Mahan Air which is identified with the Iranian Revolutionary Guard. Germany announced on Monday it had banned Iranian airline Mahan Air from its airports, in an escalation of sanctions adopted by the European Union against Tehran over attacks on opponents in the bloc, AFP reported. The move was necessary to protect Germany's "foreign and security policy interests", foreign ministry spokesman Christofer Burger was quoted as having told reporters at a press conference in Berlin. Officials at the Federal Aviation Office (LBA) sent Tehran-based Mahan Air a notification "ordering the immediate suspension of its authorization to operate passenger flights from and to Germany" from Monday, a transport ministry spokeswoman added. 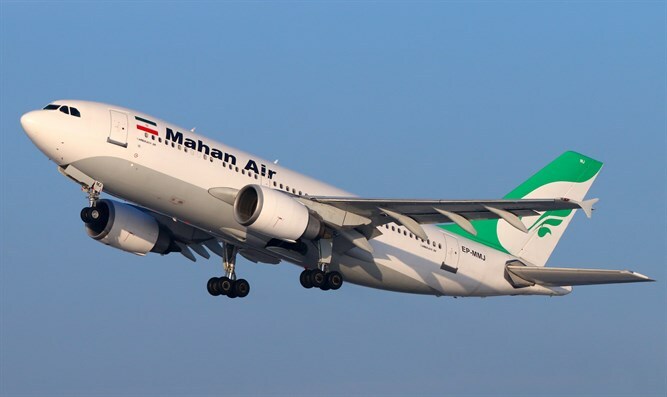 Mahan, Iran's second-largest carrier after Iran Air, flies four services a week between Tehran and the German cities of Duesseldorf and Munich. Iranian security agencies have in the past secretly transferred wounded and dead soldiers and ammunition from the battle sectors in Syria and Yemen via Mahan Air’s civilian flights. The airline was blacklisted by the US in 2011, as Washington said the carrier was providing technical and material support to an elite unit of Iran's Revolutionary Guards known as the Quds Force. In July of 2018, the US Treasury Department sanctioned Mahan Travel and Tourism Sdn Bhd, a Malaysia-based sales agent for Mahan Air. Foreign ministry spokesman Burger reiterated that Germany wished to "uphold" the agreement "and play our part in keeping economic exchange with Iran possible". "But we have always said that destabilizing activity by Iran in the (Middle East) region as well as Iran's ballistic missile program are unacceptable," he added, according to AFP. "On top of that, there are recent indications regarding the activities of Iran's secret services within EU states." Earlier this month, the European Union froze the assets of an Iranian intelligence unit and two of its staff following a series of murders and planned attacks against Tehran critics in the Netherlands, Denmark and France. The decision, which includes designating the unit and the two Iranians as terrorists, follows last year's disclosure by Denmark and France that they suspected an Iranian government intelligence service of pursuing assassination plots on their soil. Denmark announced in November that it had recalled its ambassador to Iran, after it accused Tehran of plotting to assassinate three Iranian nationals residing in Denmark. Iran denied being involved in a plot to carry out attacks in Denmark and accused the “Zionist regime” of trying to torpedo Tehran’s relations with the European Union. US Ambassador to Germany Richard Grenell on Monday welcomed Berlin's decision. "Mahan Air has flown terrorists, weapons, equipment, and funds to international locations to support Iranian terrorist proxy groups," he said in a statement, adding that it had been used "to support the Assad regime in Syria." Yuval Rotem, Director General of Israeli Foreign Ministry, welcomed the move as well. “Germany did the right thing in deciding to deny landing rights from #Iran’s commercial airline Mahan Air, which serves as the aerial branch of the Iranian regime's terror-exporting mechanism, transporting weapons and fighters across the region,” he tweeted.